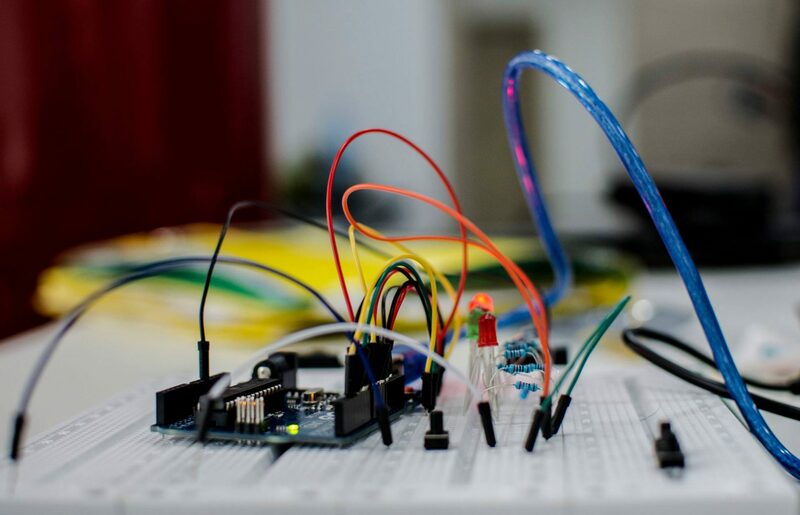 CapacitiveBoard (CapBoard) is a device based on Arduino Nano that allows to turn any conductive object in a capacitive sensor to detect the touch of a person. Price include REGULAR INTERNATIONAL SHIPPING from Italy. With CapBoard you can try to invent new ways to interact with your laptop. Look at an example in this video. If connected to a laptop, the board sends the data relating the state of the sensors via the serial connection. Currently CapBoard has been interfaced with Pure Data and Processing through a special Arduino sketch (available soon on this page). 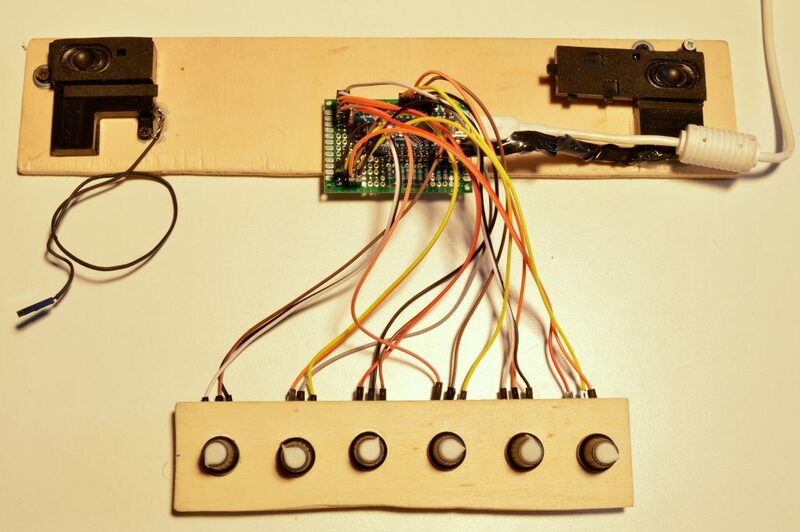 By programming CapBoard you can create 8-bit standalone synth controlled by sensors and knobs or by touching the objects connected to the card. 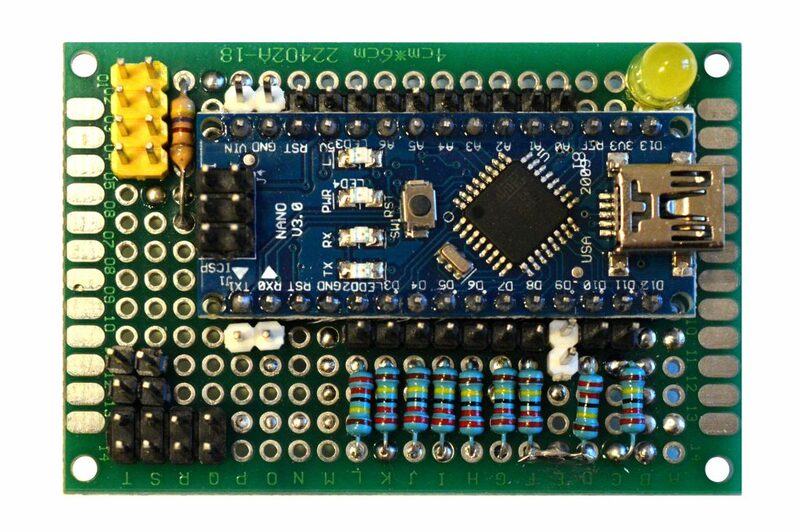 The board is equipped with a LED connected to the digital port number 13, while port 9 is free and can be used to connect a speaker or an audio cable to generate sounds through the Arduino tone() function or using the Mozzi library. Obviously, it can be also connected to any other environment and software capable of receiving data via a serial connection. 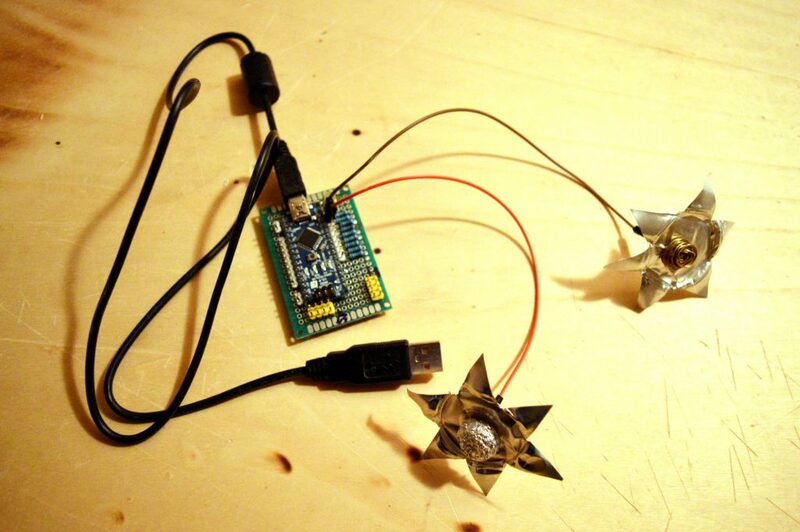 Capacitive sensors to be connected to CapBoard can be made with the aluminum foil, as those used for the prototype CapPad, or you can use any other conductive object as shown in the image. 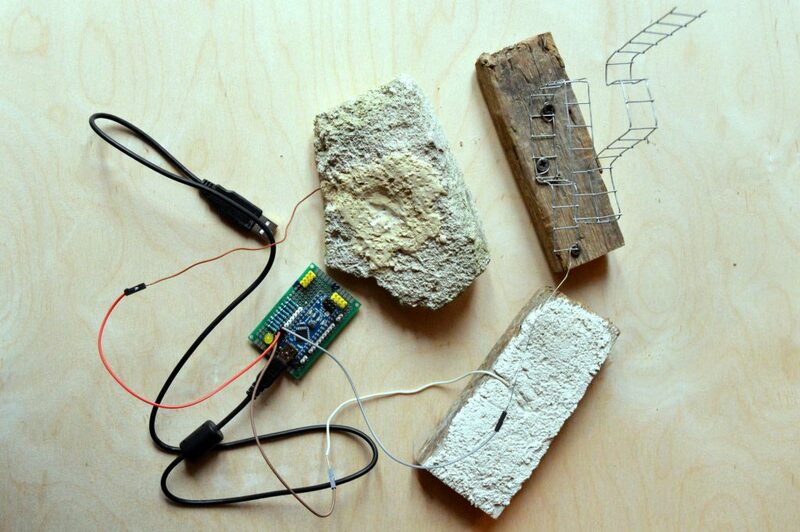 This video shows an interactive sound installation in which CapBoard was used to make sensitive four tuff blocks. The installation has been set up for the exhibition Attraverso la città. La strada del Sole at San icola dei Greci in Matera from December 10th, 2016 al 12nd February 2017. This video shows Cap Board in action making touch-sensitive surface of some tuff blocks. Buy now your CapBoard or for more information about the board write us at info(at)artislab(dot)it. Write us at info(at)artislab(dot)it and you will have the CapBoard starter kit at the same price of the board.